Salesforce is extremely popular software. It is used by large and small companies alike, and its Salesforce1 Platform allows you as a developer to create applications in the cloud. You write code on the Salesforce1 Platform in a language called Apex. It is similar to Java. Most of the tutorials for getting started with Apex use the Force.com IDE. I’m not a fan of IDEs. In this tutorial, I am going to show you how to write an Apex Hello World app without using an IDE. Let’s begin. 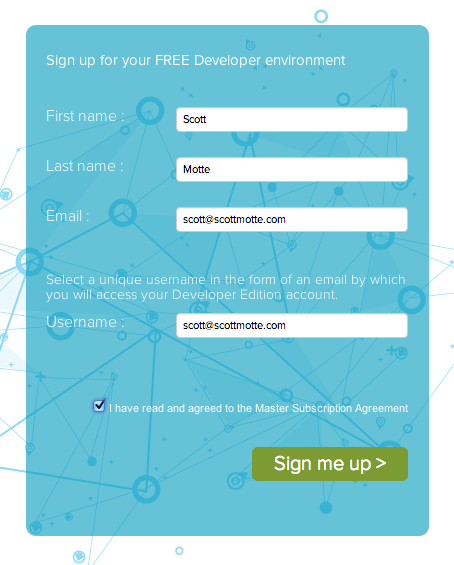 Create a salesforce.com developer account. You’ll receive an email from Salesforce with a link to confirm. Click it. On the next screen, set your password. Yeah, it’s an odd flow, but it’s Salesforce so what do you expect. You now have a developer account. Generate your security token. We will need this later. While logged into your developer account, click “Your Name > My Settings” at the top right portion of your developer account dashboard. Then on the left side of the screen click “Personal > Reset My Security Token.” Click the “Reset Security Token” button. Salesforce emails you a security token. You will need this later. 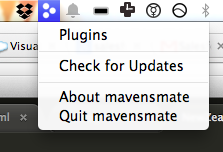 On the next window, click “Install Plugin.” This installs the Mavens Mate plugin into Sublime Text 3. Close and reopen Sublime Text 3. 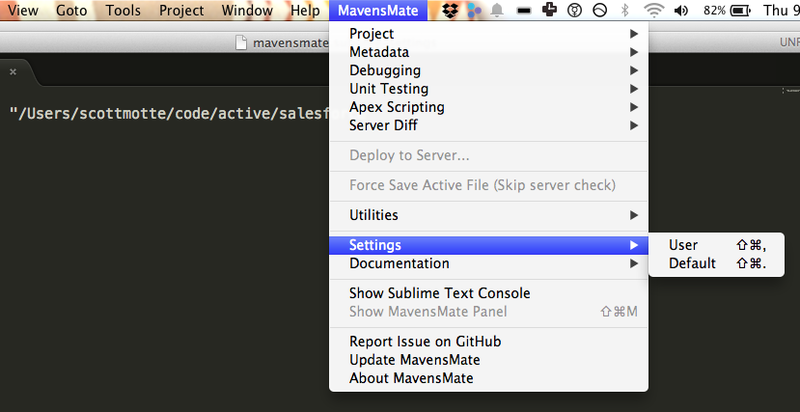 Click “Mavens Mate > Settings > User” at the top Sublime Text 3 Toolbar. This will open a file called mavensmate.sublime-settings. Paste the following in that file. 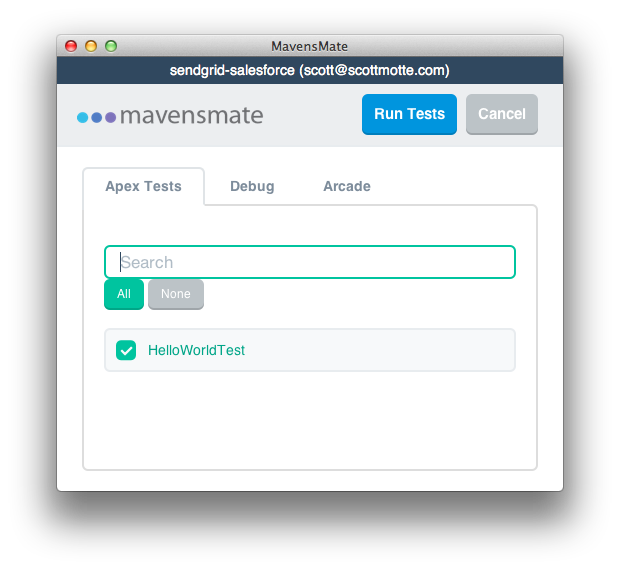 Adjust to the path and directory you want to store your salesforce code in. With Sublime Text 3 still open, click Mavens Mate > Project > New Project. Click the Advanced tab and unselect everything except ApexClass and CustomObject. When you’re ready click the “Create Project” button. This will create the project up on Salesforce.com and locally on your machine. That’s what we want. It’s the way Salesforce development works. Now when we develop locally, it will sync things up remotely. Edit that file to look like the following. On the next screen, make sure the HelloWorldTest is selected and click the “Run Tests” button. The test should pass. Congrats, you wrote your first Apex hello world code!